Staff photo by Allison Potter. 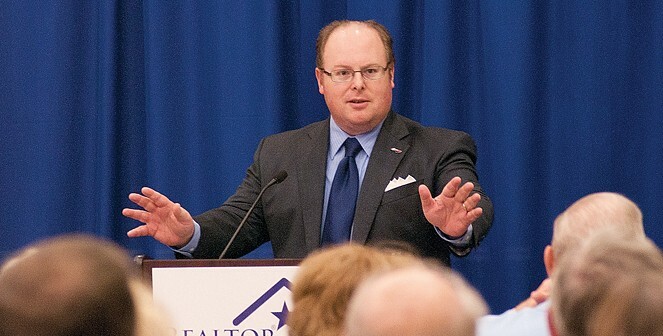 North Carolina insurance commissioner Wayne Goodwin speaks at the Wilmington Regional Association of Realtors headquarters Monday, Sept. 22, 2014. Homeowners who are paying higher premiums despite the insurance commissioner’s rejection of a rate increase last year would get some relief under an assortment of bills under consideration in the N.C. General Assembly. Among the sponsors are coastal lawmakers whose constituents have borne the brunt of homeowners insurance rate increases over the past several years. With the crossover deadline looming Thursday, a number of the bills were scheduled for hearings to ensure that they pass at least one legislative chamber this week. The most straightforward proposal, sponsored by Sen. Michael Lee, R-New Hanover, would abolish insurers’ ability to charge higher premiums than approved by the state. Lee, a freshman senator, proposes to eliminate the “consent-to-rate” provision for owners of residential property with up to four units. Last year, Insurance Commissioner Wayne Goodwin rejected the insurance industry’s request for an average 25.6 percent rate request. Coastal homeowners could have seen a 35 percent increase. Instead, Goodwin ordered an overall decrease of 0.3 percent for single-family homeowners and increases of 8.1 percent and 11.3 percent for condominium owners and renters, respectively. These are averages; some parts of the state saw increases and others, including the coast, saw decreases. Nevertheless, many homeowners were notified that their rates will increase anyway. Under the state’s consent-to-rate law, insurers may demand up to a 250 rate increase from individual homeowners as a condition of continuing the policy. If the homeowner refuses to sign, the policy may be canceled. Lee said his proposal, Senate Bill 683, is expected to be heard by the insurance committee this week. In addition to that bill, Lee is a primary sponsor of a proposed legislative study of North Carolina’s rate-setting process, with an eye on potential changes across the board. This is the only state in with the Rate Bureau evaluates various insurers’ requests and recommends an overall rate increase. The bureau represents the insurance industry but makes recommendations based on data supplied by insurers. The insurance commissioner believes the consent-to-rate law has been abused, but Goodwin’s office says he worries that Lee’s bill to abolish it may be too broad. Insurance companies need reasonable latitude to set higher rates in special circumstances, the commissioner said in a written statement. Other lawmakers seek a broader reform, among them an expansion of the insurance commissioner’s rate-setting authority and a requirement that insurers provide more detailed information about actual costs and claims to support requests for higher rates. Rep. Chris Millis, R-Pender, is among the primary sponsors of one of those bills, House Bill 182. A hearing on that bill, which has the support of Goodwin and interest groups representing the real estate industry and homeowners, was scheduled in the insurance committee Tuesday. HB 182 has a companion bill in the Senate. A Wilmington-based group representing business and homeowners supports the overall efforts of Lee and Millis, among others, to reform insurance rates. The organization has been particularly outspoken about the disparity of rates statewide and the consent-to-rate provision. The ability to set rates higher than what the insurance commissioner has approved is “absolutely undercutting the rate-making process,” said Tyler Newman, senior governmental affairs director for the Business Alliance for a Sound Economy. Insurers counter that their requests have been reasonable. Lobbyist John McMillan, who represents the Insurance Federation of North Carolina as well as major insurer Allstate, outlined their arguments in an email. He cited studies that say North Carolina has the lowest wind and hail rates of all states that have an insurance pool. Most coastal homeowners are now part of that pool, known informally as the Beach Plan. When conceived, the Beach Plan was a market of last resort for property owners living in the areas of highest risk, but that is no longer the case. The reason, says McMillan, is that homeowners premiums have been kept too low. Moreover, because the insurance commissioner has rejected or cut rate-increase requests, insurers must rely more heavily on the consent-to-rate clause, he said. Coastal residents typically pay more for wind and hail coverage than their inland counterparts because of the risk of hurricanes. But they also pay higher rates, on average, even for basic coverage such as fire and theft. BASE has continually argued that there is no good evidence that coastal residents are more susceptible to this type of loss than inland homeowners, and backs efforts to make consumer-oriented changes. “We are very supportive of Representative Millis and Senator Lee on their efforts on insurance,” Newman said. 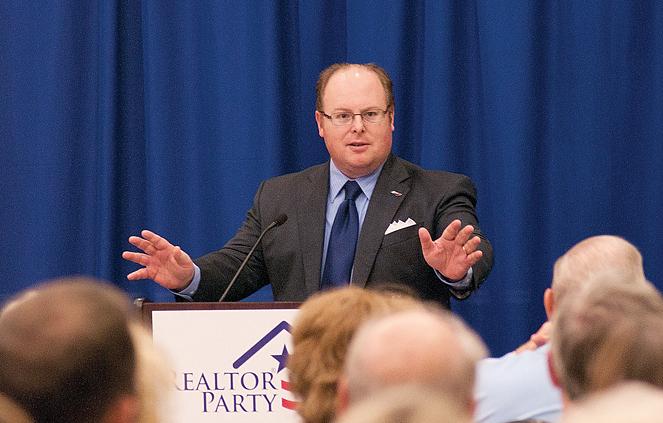 Although there have been previous attempts to reform homeowners insurance rates, he believes the legislation may have momentum this year because legislators in powerful positions — including House Speaker Tim Moore — have constituents whose rates went up. It is no longer just a coastal issue, Newman said. 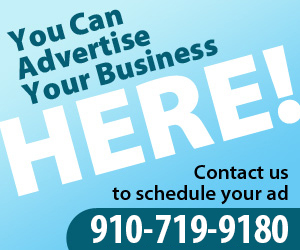 email Tricia Vance at tricia@luminanews.com.